Install dishwasher - MrFix finds you a reliable white goods expert within 3h. Install dishwasher - MrFix finds you a reliable white goods expert within 3h. Need dishwasher installed? Ask white goods service MrFix! How do I request a white goods expert? We zoeken een witgoedmonteur om de vaatwasser in ons nieuwe kantoor in Amsterdam-Centrum te repareren. Ik zoek een vakman in Amsterdam de aan afzuigkap uit China kan installeren. In de muur moet een gat gemaakt worden voor de afvoer. Afzuigkap die er nu hangt moet verwijderd worden. "Whirlpool dishwasher not cleaning well and door not closing." Fixer Question/remark: Graag merk en type opgeven, rechts op de deur zit type sticker. - My Dishwasher has stopped working. My dishwasher has stopped working, it doesn't seem to be taking in any water even though it's connected to the water supply. I have tried to fix it but still can't get it to work. MrFix rates are fair and transparent. MrFix white goods experts charge a fixed rate of €85 per hour including VAT and call-out charge. Don’t run unnecessary risks: hire a professional white goods expert. MrFix will have one for you at short notice and a fair rate. 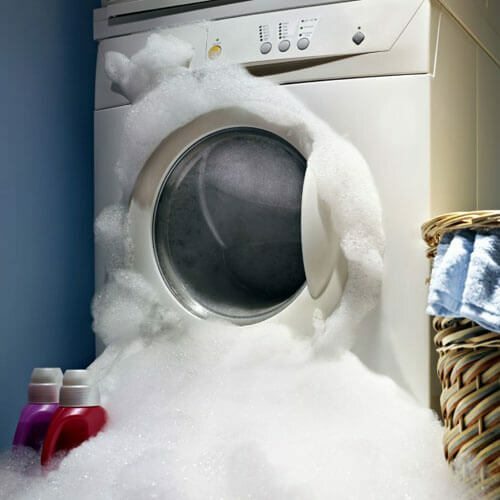 As safety is priority number one for MrFix we deal with reliable, experienced white goods expert only. They will help you keep your dishwasher in good working order so your family can enjoy healthy meals with nice and clean crockery and cutlery! It’s simple: fill out the web form and we will match your job with the right professional within three hours. Easy, right? MrFix has a white goods expert available even today, if you wish. Make your “DETAILED DESCRIPTION OF JOB” as precise as possible: please specify the brand and model of the dishwasher and describe the problem, ideally including any error code. Without complete information the expert will probably first have to come inspect and determine the required solutions & parts. For further questions about rates see the Rates page or call us on 020-675 0333 (Mon-Sat 8.30-18h). You can contact MrFix via the web form above 24/7 for emergencies and other urgent dishwasher installation jobs. We will connect you to the right white goods expert within 3 hours, and often faster than that. MrFix-approved white goods experts do your job right 1st time: every expert who works through MrFix has been screened by MrFix. Most manufacturers of dishwasher offer repair services for when your appliance breaks down. Unfortunately they tend to be slow and expensive: how does waiting two weeks for a mechanic at €90 per hour PLUS call-out charge sound? MrFix works with white goods experts who can help you with both major brands like Miele, Siemens, AEG and Zanussi as well as lesser-known brands. And they are on call for rush jobs, during evening hours and at weekends. No problem for MrFix’s certified white goods expert! Our skilled white goods expert are ready to install every conceivable appliance in Amsterdam, The Hague and the rest of the Central Netherlands in a professional and accurate way. Complete the web form and we will match your job with the right white goods expert within 3 hours. If you prefer you can also mail, call 020-6750333 (Mon-Sat 8.30-18h) or send a WhatsApp message to 06-15380087. So you are in safe hands. We at MrFix can get your home, shop or office improved by the right expert from our wide range of partners. Beside white goods experts MrFix can quickly connect you to a skilled Plumber, Painter, Handyman, Electrician or other Specialist. Need an dishwasher or other appliance installed in your region? 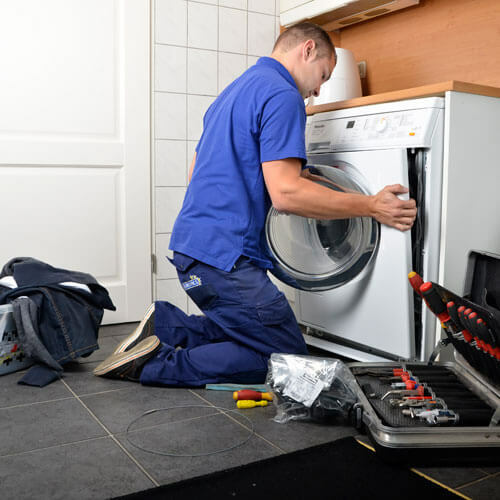 Whatever your appliance installation job is, MrFix has the best network of experienced, reliable white goods experts in Amsterdam, Rotterdam, The Hague, Utrecht, Eindhoven and elsewhere in the West and Centre of The Netherlands. Fill in the form, then we will match you as quickly as possible to the right white goods expert or other expert in your region.